Konstantin Konstantinovich (Xaverevich) Rokossovsky (Polish: Konstanty Rokossowski) (December 21, 1896 – August 3, 1968) was a Soviet and Polish officer who became Marshal of the Soviet Union, Marshal of Poland, and served as Poland's Defence Minister from 1949 until his removal in 1956 during the Polish October. He was among the most prominent Red Army commanders of World War II, especially renowned for his planning and executing of Operation Bagration, one of the most decisive Red Army successes of the war. Rokossovsky was born in Warsaw, then part of Congress Poland under Russian rule. His family had moved to Warsaw following the appointment of his father as the inspector of the Warsaw Railways. 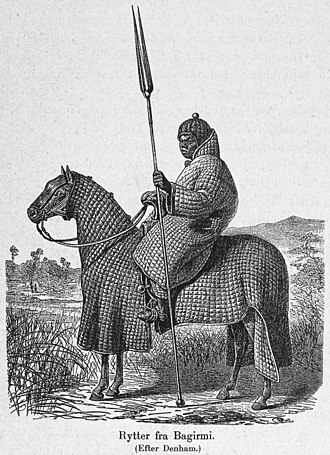 The Rokossovsky family were members of the Polish nobility (of the Oksza coat of arms), and over generations had produced many cavalry officers. However, Konstantin's father, Ksawery Wojciech Rokossowski, was a railway official in the Russian Empire and his Belarusian mother Antonina Ovsyannikova was a teacher (born in Telekhany near Pinsk). Orphaned at 14, Rokossovsky earned a living by working in a stocking factory. In 1911, he became an apprentice stonemason. Much later in his life, the government of People's Republic of Poland used this fact for propaganda, claiming that Rokossovsky had helped to build Warsaw's Poniatowski Bridge. Rokossovsky's patronymic Ksaverovich was Russified on his enlistment into the Russian Army at the start of the First World War to Konstantinovich, which would be easier to pronounce in the 5th Kargopol Dragoon Regiment where he volunteered to serve. On joining the Kargopolsky 5th Dragoon Regiment, Rokossovsky soon showed himself a talented soldier and leader; he ended the war with the rank of a junior non-commissioned officer, serving in the cavalry throughout the war. He was wounded twice during the war and awarded the Cross of St George. In 1917, he joined the Bolshevik Party and soon thereafter, entered the ranks of the Red Army. During the Russian Civil War he commanded a cavalry squadron of the Kargopolsky Red Guards Cavalry Detachment in the campaigns against the White Guard armies of Aleksandr Kolchak in the Urals where, in November 1919, he was wounded in the shoulder by an opposing officer whom he later killed when his cavalry overran an enemy headquarters. Rokossovsky received Soviet Russia's highest military decoration at the time, the Order of the Red Banner. In 1921 he commanded the 35th Independent Cavalry Regiment stationed in Irkutsk and played an important role in bringing Damdin Sükhbaatar, the founder of the Mongolian People's Republic to power. Famed "White Russian" general, adventurer and mystic Roman von Ungern-Sternberg, who allegedly believed he was the reincarnation of Genghis Khan, had driven the Chinese occupying forces out of Mongolia in 1920 and set himself up as dictator in Outer Mongolia. 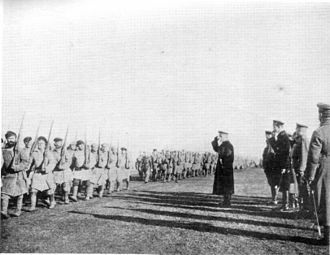 The next summer, when Ungern-Sternberg moved to capture the border town of Troitskosavsk threatening to move north and cut off the Soviet far east from the rest of the Soviet Union, Rokossovsky quickly moved south from Irkutsk and met with the Sükhbaatar Mongol forces, defeating Urgern-Sternberg's army, which retreated in disarray after a two-day engagement. Rokossovsky was again wounded, this time in the leg. 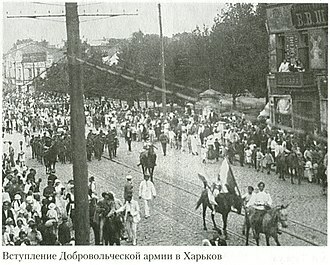 The combined Mongol and Soviet forces soon thereafter captured Ulaanbaatar. Sitting in the second row (right to left): 1. Bagramyan, 3. Yeremenko. 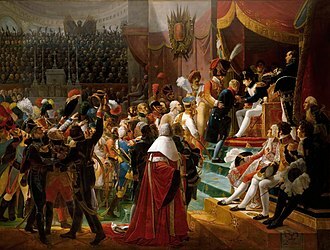 Standing in the third row (right to left): 1. Zhukov, 5. Rokossovsky. It was in Mongolia that he met his wife Julia Barminan, a high school teacher who was fluent in four languages and who had studied Greek mythology, whom he married in 1923. Their daughter Ariadna was born in 1925. In 1924 and 1925 he attended the Leningrad Higher Cavalry School, where he first met Georgy Zhukov. He returned to Mongolia, where he was a trainer for the Mongolian People's Army. 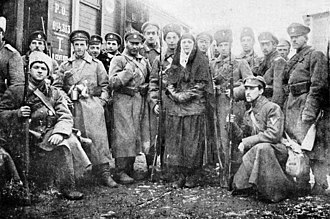 Soon after, while serving in the Special Red Banner Eastern Army under Vasily Blücher, he took part in the Russo-Chinese Eastern Railroad War of 1929–1930 when the Soviet Union intervened to return the Chinese Eastern Railway to joint Chinese and Soviet administration, after Chinese warlord Zhang Xueliang of the Republic of China attempted to seize complete control of the railway. Has a strong will. Decisive and firm. Often demonstrates initiative and skillfully applies it. Disciplined. Demanding and persistent in his demands. A somewhat ungracious and not sufficiently sympathetic person. Rather stubborn. 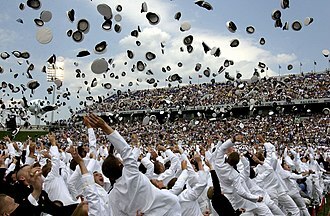 Painfully proud. In professional terms well trained. Broadly experienced as a military leader... Absolutely cannot be used in staff or teaching jobs because constitutionally he hates them. Rokossovsky was among the first to realize the potential of armoured assault. He was an early supporter of the creation of a strong armoured corps for the Red Army, as championed by Marshal Mikhail Tukhachevsky in his theory of "deep operations". Rokossovsky held senior commands until August 1937 when he became caught up in Joseph Stalin's Great Purge and accused of being a spy. His association with the cutting edge methods of Marshal Tukhachevsky may have been the cause of his conflict with more traditional officers such as Semyon Budenny, who still favoured cavalry tactics over Tukhachevsky's mass armour theories, but few historians believe that the purge of the Red Army was solely a dispute over policy, and most attribute the purges to political and military rivalries as well. Some officers were merely swept up on suspicion due to past associations; in Rokossovky's case his association with the Special Red Banner Eastern Army and the intrigues surrounding Marshal Vasily Blyukher, who was arrested shortly after Rokossovsky and who died in prison without confessing, may have been enough to trigger his arrest. Rokossovsky, however, survived. He was variously accused of having links to Polish and Japanese intelligence and acts of sabotage under Article 58, section 14; "conscious non-execution or deliberately careless execution of defined duties", a section added to the penal code in June 1937. The charges against Rokossovsky stemmed from the case of the "Anti-Soviet Trotskyist Military Organization of the 11th Mechanized Corps" where Rokossovsky was implicated after the arrest of Corps Commander K.A. Tchaikovsky who, like Rokossovsky, served in the far east in the early 1930s. The Intelligence Chief of the Transbaikal Military District accused Rokossovsky of meeting with Colonel Komatsubara the head of the Japanese military mission in Harbin in 1932, when he was commander of the 15th Cavalry Division in Trans-Baikal; a fact that Rokossovsky did not dispute but justified as a meeting to resolve issues regarding Chinese prisoners. 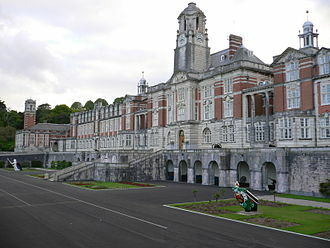 This accusation was supported with material charges, which included various acts of negligence of command that were interpreted as deliberate acts of sabotage, such as allowing the quarters of his division to become slovenly, failing to conduct training, and leading his division out into bad weather causing losses of horses and encouraging sickness among his troops. Upon his arrest by the NKVD, his wife and daughter were sent into internal exile, where his wife Julia was forced to support their daughter by finding odd jobs, which she would lose when it was discovered that her husband had been arrested as a "traitor". Those who refused to sign a false statement were beaten up, as long as the false statement was not signed. There were steadfast people who stubbornly did not sign. But there were relatively few. K. K. Rokossovsky, as he sat with me in the same cell did not sign a false statement. But he was a brave and strong man, tall and broad-shouldered. He too was beaten. The evidence was based on the testimony of Adolph Yushkevich, a colleague of my grandfather in the Civil War. But my grandfather knew very well that Yushkevich died in Perekop. He said that he would sign [a confession] if Adolph was brought for a confrontation. They looked for Yushkevich and found that he had died long before. Alexander Solzhenitsyn reports that Rokossovksy endured two mock shooting ceremonies where he was taken out at night by a firing squad, but then returned to prison. Living relatives say that Svetlana Pavlovna, wife of Marshal Kazakov, confirmed that he sustained injuries including broken and denailed fingers and cracked ribs on top of enduring mock shooting ceremonies. Rokossovsky never discussed his trial and imprisonment with his family, only telling his daughter Ariadne that he always wore a revolver because he would not surrender alive if they came to arrest him again. In his famous "secret speech" of 1956, Nikita Khrushchev, when speaking on the subject of the purges, mentioned Rokossovsky specifically, saying, "suffice to say that those of them who managed to survive, despite severe tortures to which they were subjected in the prisons, have from the first war days shown themselves real patriots and heroically fought for the glory of the Fatherland". After his trial Rokossovsky was sent to the Kresty Prison in Leningrad, where he remained until he was released without explanation on March 22, 1940. Semyon Timoshenko, who had been named People's Commissar for Defence of the Soviet Union after the debacle of the Winter War and was in urgent need of experienced officers to fill command posts for the rapidly expanding Soviet army, returned Rokossovsky to the command of the 5th Cavalry Corps at the rank of Colonel. Subsequently, the 5th Cavalry Corps participated in the occupation of Bessarabia and he was soon promoted to the rank of a Major General and given the command of the 9th Mechanized Corps, as part of M.I. Potapov's 5th Army under Mikhail Kirponos commander of the Kiev Military Region, which would later be renamed the Southwestern Front at the outbreak of hostilities with Germany. Konstantin Rokossovsky's place in history as a military leader was established in the war known among Russians as the Great Patriotic War, that began with the German invasion of the Soviet Union on June 22, 1941. He rose from being a disgraced officer and former prisoner charged with treason, through the rank of Major General, to become a Marshal of the Soviet Union, who was finally put in charge of the victory parade in Moscow at the conclusion of the war in 1945. He played a major role in almost every strategically important operation that eventually led to Soviet victory over Germany during World War II. The German army is a machine, and machines can be broken! When Nazi Germany attacked the Soviet Union in June 1941 Rokossovsky was serving as the commander of the 9th Mechanized Corps with the 35th and 20th Tank Divisions, and the 131st Motorized Division under his command. He was immediately engaged in the early tank battles that raged around the Lutsk-Dubno-Brody triangle, also known as the Battle of Brody — an early Soviet counter-attack that was the most significant Soviet tank operation of the early stages of operation Barbarossa. The battle involved a large scale attack involving five Mechanized Corps aimed at penetrating the German line in the direction of Lublin based on a plan developed before hostilities commenced. Orders for the attack from Zhukov were met with little enthusiasm from the Southwestern Front staff that wanted to maintain a defensive posture. Nonetheless the attack proceeded. The operation met with numerous difficulties in mobilization, coordination, communication, transportation and execution but scored some initial successes, which were parried by the quick action of Von Rundstedt's Army Group South in the Ukraine and ended in the destruction of most of the participating Soviet forces. Upon receiving his orders Rokossovsky, whose divisions were stationed far to the rear of the frontier, had to commandeer trucks from the local reserve to carry munitions, and mount some of his infantry on tanks while the rest were forced to walk, splitting his forces. 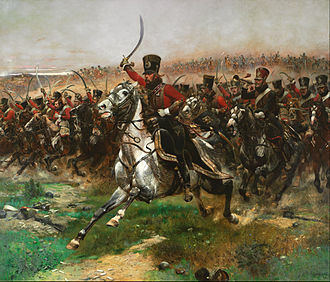 As a consequence, his forces were behind schedule and only an advanced guard were able to meet the 26 June "jump off", and entered the fray piecemeal. His orders were to move forward and take up positions around Lutsk north of the town of Dubno in co-ordination with the 19th Mechanized Corps under N. V. Feklenko, and attack south-west, while the Mechanized Corps of the 6th Army attacked northward from Brody to meet them, with the intent of cutting off the advance of the 11th Panzer Division east. On 25 June, Rokossosky's 131st Motorized infantry were quickly driven out of their position at Lutsk by the 14th Panzer Division, but the 35th and 20th Tank divisions were able to cobble together advance forces to cut the Lutsk-Dubno road, even though their full force had not yet arrived on the battlefield. On the same day elements of the 19th Mechanized Corps, operating to his east out of Rovno had succeeded in temporarily driving the rearguard of the 11th Panzer Division from Dubno cutting off its advance units. In response the 13th Panzer Division attacked south from Lutsk the next day clearing Rokossovsky's forces from the road and allowing German infantry to recapture Dubno, while it drove off the 19th Mechanized and captured Rovno in Rokossovsky's rear. We had once again received an order to counterattack. However, the enemy outnumbered us to such a degree, that I took on the personal responsibility of ordering to halt the counteroffensive and to meet the enemy in prepared defences. Because of this, Rjabyshev's 8th Mechanized, which had also scored some early successes operating out of Brody, was in effect continuing to attack from the south with the expectation of support from Rokossovsky, who had stood down his forces, and did not arrive from the north. Neither were aware of this fact, because there was no available direct communication between the individual Corps, an example of how the endemic communication problems helped foil the Soviet efforts. Throughout the next days, Rokossovsky's forces put considerable pressure on the Germans at Lutsk and tried to recapture Rovno in their rear, while stopping the advance of the 14th Panzer by ambushing them with 85mm anti-tank guns at close range and with good effect. He observed in his memoirs that "the terrain off road was wooded and swampy, keeping the German advance to the road. The artillery Regiment of the 20th Tank division deployed its newly issued 85mm guns to cover the road and with direct fire repulsed the advancing Panzers. The battles around Lutsk, Dubno and Brody fought by the 8th, 9th and 19th Mechanized Corps were most notable among Soviet operations in the early day of Barbarossa because the Southwestern Front was able to organize active operations, unlike most sectors of the front where the German assault was met with operational paralysis, and bought time to reorganize defense along the line of the old Polish border. Sporadic attempts were made to close the widening gap between the Soviet 5th and 6th Armies, as the Germans advanced on Kiev, but the Soviet tank forces were but a fraction of their former strength. By July 7, Rokossovsky's 9th Mechanized Corps had been reduced to 64 tanks, out of its original complement of 316. While Rokossovsky and his fellow Mechanized Corps commanders of the 5th and 6th Army had been interdicting Army Group South's advance in Ukraine, complete disorder and panic gripped the Soviet forces in Byelorussia, where the disabling impact of poor organization, logistics and communications were exponentially greater. The Red Army collapsed under the well coordinated attack of Field Marshal von Bock's Army Group Center. Within seventeen days, during the Battle of Białystok–Minsk three quarters of D.G. 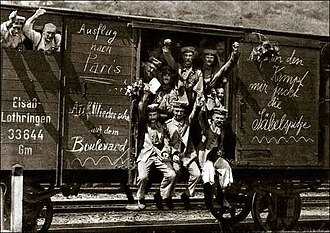 Pavlov's Western Front was put out of action; dispersed, captured or killed. Of its initial complement of 625,000 soldiers 290,000 were taken prisoner and 1,500 guns and 2,500 tanks were captured or destroyed. By June 30 the Germans had reached the approaches of the Dnepr river bend where the river departs from its east–west flow, and heads south. 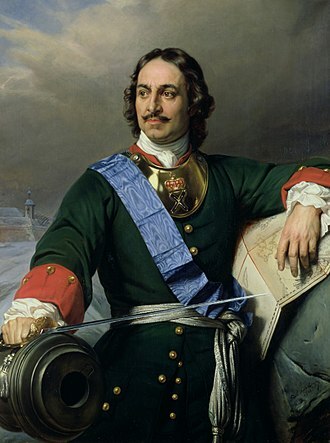 The way was open to the strategically important city of Smolensk, where Marshal Simon Timoshenko was reassembling the shattered Western Front on a new defense line. The Battle of Smolensk commenced on July 10 when Army Group Center began advancing on a broad front to the north and south banks of the Dnepr river, just beyond the bend where it begins its southward flow. The 9th Army attacked north-east toward Veliki Luki. The 3rd Panzer Group under General Hermann Hoth struck east at Vitebsk and then attacked along the land bridge that separates the West Dvina and Dnepr rivers with the aim of enveloping Smolensk from the north. Heinz Guderian's 2nd Panzer Group pushed toward Smolensk directly through Orsha and bypassed Mogilev with the ultimate objective of making a deep penetration far to the rear of the Soviet front line beyond Elnya and toward Moscow. Despite his insubordination during the Battle of Dubno, Rokossovsky was ordered to Moscow on July 13 to take command of the remnants of the 4th Army where he was to serve under Marshal Timoshenko who had replaced the disgraced D. G. Pavlov as the Western Front commander on July 2, shortly after he and the majority of his staff had been tried and shot in the wake of the disaster at the frontier. On 15 July, the same day that Rokossovsky was restored to the rank of Lieutenant General the rank he had held previous to his arrest, Major General Funck's 7th Panzer Division from the 3rd Panzer Group arrived at Yartsevo behind Smolensk. The next day motorized infantry from the 2nd Panzer Group forced most of the Soviet defenders from Smolensk reducing the gap between 2nd and 3rd Panzer Group's to less than 20 kilometers. The 16th, 19th and 20th Soviet armies were threatened with impending encirclement and now strung out along the north bank of the river contained in a triangle between Vitebsk to the north-west, Yartsevo to the north-east, and Smolensk to the South. With his front rapidly deteriorating Timoshenko released Rokossovsky from 4th Army (a command he had assumed in name only) and gave him the task of assembling a stopgap formation to be called "Group Yartsevo" that would deal with the emergency presented by the sudden appearance of the 7th Panzer at Yartsevo. This ad hoc operational group was to defend the bridgeheads of the Vop river, a tributary of the Dnepr, and prevent the southern and northern wings of the Panzer envelopment from converging at the Dnepr. Collapse seemed imminent. Stalin, unmoved, reiterated his demand to Timoshenko that Smolensk should not be surrendered and called the "evacuation attitude" of the front line commanders of the besieged armies criminally "treasonous". Rather than retreat, Timoshenko's armies would stand their ground and attempt to recapture Smolensk. "Group Yartsevo" was in theory a large army sized formation but when Rokossovsky arrived at Timoshenko's headquarters on the evening of the 17th, he was in fact in charge of his own small staff, two quad anti-aircraft machine guns mounted on trucks and a radio van. At first, Rokossovsky had to resort to pulling together a fighting group from reserve units and retreating stragglers, but over the coming days it became a more substantial force. Retreating regiments and divisions from the 44th Rifle Corps filtered out of the Smolensk pocket and were transferred to his command and fresh forces arrived from the reserve—the 107th Tank Division (formerly the 69th Motorized Division from the Trans-Baikal Military District) and the 101st Tank Division equipped with 220 outdated but functional tanks. What commenced was a confusing seesaw battle for control of Smolensk that saw portions of the city change hands several times over the next week, while Rokossovsky's group held the back door open and harassed the advanced German panzer formations. 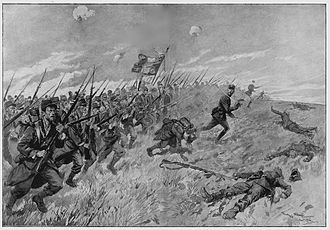 Then we began going over to the offense by delivering blows against the Germans, first in one sector and then in another, frequently scoring appreciable tactical success, which helped strengthen discipline among the troops and strengthened the confidence of the officers and men, who saw that they could actually beat the enemy, which meant a lot at that time. Our activity apparently puzzled the enemy command, which encountered resistance where it was not expected; they saw that our troops not only fought back but also attacked (even if not always successfully). This tended to create an exaggerated idea of our forces in the sector, and the enemy failed to take advantage of his great superiority. Day by day, Rokossovsky's forces became stronger. As the Smolensk pocket deflated under German pressure Rokossovsky was able to press into service retreating soldiers and formations that slipped out of the pocket and employed them reinforcing the perimeter of the Yartsevo corridor. Eventually, the 38th Rifle Division was handed over to Rokossovsky when Timoshenko rationalized the command of the shrinking formations in the Smolensk pocket by disbanding Ivan Konev's 19th Army. The Germans were faced with the dilemma of both containing the encircled armies, and dealing with Rokossovsky's burgeoning forces to their east. The 7th Panzer was soon joined by the 12th Panzer at Yartsevo, while the 20th held down their northern flank. With so many Panzer divisions tied down in defensive position containing Soviet activity both inside and outside of the pocket, much of the offensive punch of the Panzer Groups was blunted. Even though "Group Yartsevo" had managed to halt the advance of Hoth's 3rd Panzer Group at Yartsevo, Guderian's 2nd Panzer Group continued to advance south of the Dnepr on Rokossovsky's left flank becoming a more tangible threat with each passing day. On 18 July, Guderian's 10th Panzer Division entered the town of Elnya 70 km south Yartsevo and captured it on the 20th. But on July 19, German operational objectives for Smolensk had changed when Hitler issued Führer Directive 33, ordering the Wehrmacht to temporarily cease its drive on Moscow, so that it could wheel south and finish off the Soviet defenders holding onto Kiev in Ukraine. As a result, Guderian's intended deep penetration was operationally obsolete, and Field Marshal von Bock became intent on mopping up the Soviet defenders at Smolensk, so that the Panzer Groups could be released to Army Group South. Impatient with Guderian's slow going Von Bock urged Guderian to drive north and close the Yartsevo corridor. In anticipation of this development, Rokossovsky had deployed the 107th Tank division to hold the area immediately south of Dnepr and when the 10th Panzer undertook an unsupported attack northward toward Dorogobuzh from Elnya, it was repulsed after three days of heavy fighting. The situation temporarily stabilized. On July 20, Zhukov ordered a general counterattack with the aim of relieving the encircled armies, and beginning on July 21 attacks began along the entire front, and continued for a number of days in an uncoordinated fashion. 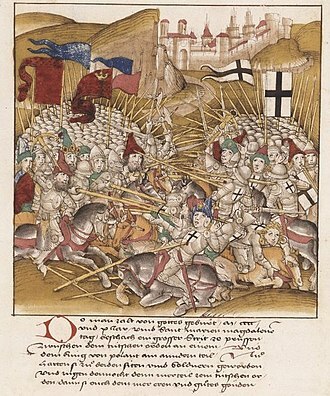 Meanwhile, the defenders in the pocket increased their efforts to recapture Smolensk. Attacks were made from the south against the flank of Guderian's advanced forces at Elnya and Roslavl, and north of Yartsevo against Hoth's 2nd Panzer Group. Deep cavalry penetrations were made behind the German front behind Mogilev disrupting logistics. Uncoordinated as the attacks were they had the effect of distracting the German advance for several days as intense battles took place increasing casualties on both sides. On the 24th Rokossovky's temporarily drove Funk's 7th Panzer from Yartsevo. Unsupported by infantry the Wehrmacht advanced Panzer formations were taking inordinate casualties. To make further headway, both Hoth and Guderian needed to bring infantry forward to disentangle their mobile forces from their containment operations, and free them for attack, slowing the pace of advance. By 25 July, Guderian had been able to free his considerable tank forces from defensive duties, and mobilized the 17th Panzer Division for a concerted effort to advance north and clear Rokossovsky from his tenuous position, but the 17th Panzer was still unable to reach the Dnepr and finally close the pocket. Nonetheless, under attack from north and south Rokossovsky was unable to prevent Hoth's 20th Motorized Infantry from capturing bridgeheads over the Dnepr on the 27th sealing the pocket. The encircled armies fought intense breakout battles, and on the 28th Timoshenko ordered Rokossovsky to reopen the corridor by recapturing the bridgeheads and while he was unable to regain control of the river crossings, the 101st Tank Division recaptured Yartsevo on the 29th and held it for a few critical days. Despite strenuous efforts over the next week, Rokossovsky was not able to secure a link to the armies in the pocket, but the intense Soviet activity kept the Germans from consolidating their front allowing elements of the encircled 16th army to effect a breakout. 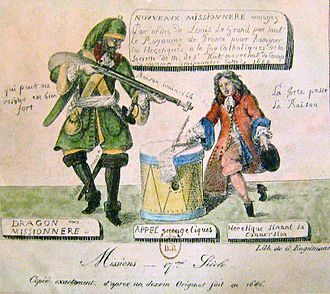 By 4 August the front had stabilized and the defending armies within the pocket ceased resistance or had ceased to exist. 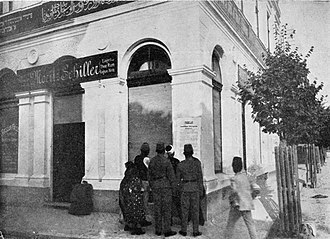 The development of the situation in the last few days, the appearance of strong enemy forces on the front and to the flanks of Army Group Centre, the supply position, and the need to give 2nd and 3rd Armoured Groups about ten days to rehabilitate their units, make it necessary to postpone for the moment the further tasks and objectives laid down in Directive 33 of 19th July and in the Supplement of 23rd July. In September 1941 Stalin personally appointed Rokossovsky to the command of 16th Army. He was ordered to defend the approaches to Moscow, and was now under the direct command of General Georgy Zhukov, his former subordinate. The 16th Army (later renamed the 11th Guards Army) played a key role in the Battle of Moscow when it was deployed along the main axis of the German advance along the Volokolamsk Highway that was a central junction of the bitter fighting during the German winter offensive of 1941 (Operation Typhoon), as well as the subsequent Soviet counter-attack of 1941–42. On November 18, during the last-ditch efforts of the Wehrmacht to encircle Moscow in 1941, General Rokossovsky, his soldiers under heavy pressure from Hoepner's 4th Panzer Group, asked his immediate superior, Zhukov, if he could withdraw the 16th Army to more advantageous positions. Zhukov categorically refused. Rokossovsky went over Zhukov's head, and spoke directly to Marshal Boris Shaposhnikov, now Chief of the General Staff in Zhukov's place; reviewing the situation Shaposhnikov immediately ordered a withdrawal. Zhukov reacted at once. He revoked the order of the superior officer, and ordered Rokossovsky to hold the position. In the immediate aftermath, Rokossovsky's army was pushed aside and the 3rd and 4th Panzer Groups were able to gain strategically important positions north of Moscow, but this marked the high point of the German advance upon Moscow. Throughout Operation Typhoon, Rokossovsky's 16th army had taken the brunt of the German effort to capture Moscow. In March 1942 Rokossovsky was badly injured by a shell splinter. It was widely rumored that Valentina Serova was a mistress of Rokossovsky during this time. While it's true that Serova, working as a hospital volunteer, met Rokossovski several times while he was recovering from his wound, it is not acknowledged they were lovers. Evidence for their close relationship was found in the accounts of frontline soldiers. Rokossovski also had another mistress at this time, Dr. Lt. Galina Talanova, with whom he had a daughter in 1945. After two months in a Moscow hospital Rokossovsky was reunited briefly with the 16th Army. During 1942 the Wehrmacht commenced "Operation Fall Blau" and switched the axis of their offensive from Moscow and attacked southward into the eastern Ukraine towards the Don-Volga river line, Rostov, Voronezh, Stalingrad and the Caucasus beyond. There the Germans hoped to secure fresh supplies of oil to fuel their armies. Unlike the early days of 1941 the stiffening Soviet army maintained relatively good order in retreat, backing up along a defensive line along the Don river. On 13 July 1942 Rokossvsky was given his first operational level command, a sign of his growing stature. The battles of Smolensk and Moscow had by no measure resulted in Red Army victory but the front line formations under his command were central to frustrating the Wehrmacht efforts to achieve the same and this was most likely reflected in Stalin's decision to make him commander of the Bryansk Front where Stavka expected the main line of German attack to be renewed against Moscow in 1942—Rokossovsky was a trusted officer who could be counted on in a tight squeeze. The plan was to concentrate a strong force (no less than three combined armies and several armoured corps) on the flank of the enemy occupying the country between the Don and the Volga with the purpose of counter-attacking south and south-east from the vicinity of Serafimovich. Subsequent events delayed the attack and it was shelved, only later to be resurrected as "Operation Uranus" with Vatutin playing the lead role, however Walsh asserts that Rokossovsky being originally selected to lead the attack "was symptomatic of his standing and the importance of his location as an indicator of significant, impending Soviet operations." 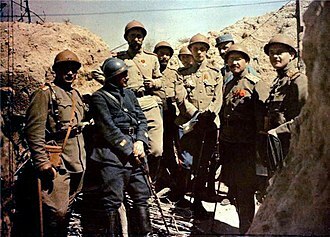 By the fall of 1942 the German army had pulled up along the new Soviet defense at the Don and Volga rivers, centered at Stalingrad, and had broken through south of Rostov toward the strategic oil centers of Tbilisi and Baku. Stalin was determined that Stalingrad should not fall, and the Red Army was given strict orders to hold the city at any cost. The Battle of Stalingrad became a struggle for control of the city that drew in combatants from both sides in brutal house to house fighting. 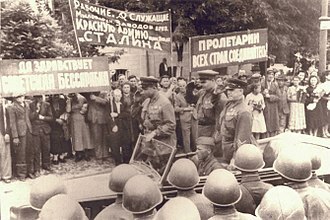 On September 28, 1942, at Zhukov's urging, Rokossovsky was given overall command of the 65th Army (4th Tank Army), 24th Army and 66th Army, that were brought together as the Don Front as part of Stalin's much criticized reorganization of the Southern Front in preparation for the planned Soviet counterattack at Stalingrad: "Operation Uranus". This put Rokossovky's armies directly opposite the XI, VIII and XIV Corps of the 6th Army, including the 16th Panzer and 14th Panzer divisions, all of which were destroyed in the ensuing battle. With German forces heavily engaged at Stalingrad and spread thinly due to their deep penetrations into the Caucasus, the Wehrmacht was increasingly reliant on their Romanian and Italian allies to cover the flanks of their extended line, on the north along the Don, and to the south along the Volga. "Operation Uranus" kicked off on November 17 with the intention of making a double envelopment of Paulus's men at Stalingrad by breaking through the flanks. The Southwestern Front commanded by General Vatutin quickly overwhelmed the 3rd Romanian Army just to the north of Rokossovsky's Don Front, while Yeryomenko's Stalingrad Front began their own attack just south of Stalingrad. Rokossovsky's Don Front played a largely subordinate role in the main attack, but the 66th Army supported Vatutin's attack from the north by outflanking the left extreme of the German line where it met the Romanian 3rd Army, while the 24th and 65th squeezed the German defenders—pinning them in place as the pincers of the main attacks rapidly enveloped them. In less than a week, in the face of deteriorating weather and blizzard conditions, the Soviet forces had sealed the gap behind Stalingrad, and had begun to reinforce their investment around the city in order to prevent an attempted escape. No organized effort was made by the 6th Army to break out, and "Operation Winter Storm", a mid December German effort to relieve the encircled army, failed to break the Soviet defenses. Soon after, the Soviets launched "Operation Little Saturn" and completely consolidated their position. On December 28 Stalin gave Rokossovsky the task of mopping up the Stalingrad pocket. He had at his disposal roughly 212,000 men, 6,500 guns, 2,500 tanks, and 300 aircraft, to be used against an assortment of 200,000 defenders short on food, fuel, and ammunition, including Russian "Hiwis", Romanians and Germans; in one example, nearly half the 6th Army's 297th Infantry Division fighting force were Russian, however its artillery detachment was rationed to one and a half shells a day. On January 8, 1943, Rokossovsky ordered a cease-fire and sent a delegation to offer terms of surrender but Paulus did not respond, and resistance continued for the better part of the month. On January 10, the Don Front launched "Operation Ring" to reduce the Stalingrad pocket beginning with a 55-minute barrage from 7000 rocket launchers, artillery and mortars. The defenders fought tenaciously, even as their lines slowly collapsed, causing the Don Front 26,000 casualties, and destroying half its tanks in the first three days of the operation. On January 15 Rokossovsky was promoted to the rank of colonel general. On January 16 the main airfield used to supply the beleaguered 6th Army fell, and then after a pause of a few days, the offensive was renewed capturing the last operational airfield and finally driving the German back into the city proper on January 22. On that same day General Paulus asked Hitler for permission to surrender but was refused. On 26 January the Soviets had broken the surrounded Germans into two pockets, and on January 31, the southern pocket collapsed and Paulus surrendered. Within four days the last significant group of defenders surrendered to Rokossovky's command, finally ending the battle that marked the high-water mark of the German advance during the Soviet-German war. After the victory at Stalingrad the Russian forces advanced to a position that created a bulge 150 km deep and 250 km wide into the German line, around the city of Kursk. This subsequently became known as the Kursk Salient. Rokossovsky command was moved to the north of the salient and was re-designated as a new front, which was twinned with the Voronezh Front, holding the south approaches. In February 1943 Rokossovsky wrote in his diary: "I'm appointed commander of the Central Front. It means that Stalin has entrusted me to play the key part in the summer Kursk campaign." 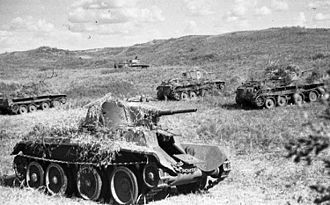 Both the Red Army and the Wehrmacht prepared to make a decisive offensive in the summer of 1943 at Kursk. The Germans planned to drive two thrusts one through each flank of the salient and unite them at Kursk in order to cut off substantial Soviet forces, recover from the strategic loss at Stalingrad, and curtail further Russian advance. The Russians, alert to the coming attack put their offensive plans aside and prepared for defense in depth with mass antitank units in prepared positions. In late June one German bomb load in a night raid hit Rokossovskii's HQ, and he escaped only because on a whim he had decided to set up his signals group in the officers' mess. After that, Central Front HQ went underground in a bunker in the garden of a former monastery. The German offensive, code named "Operation Citadel", was originally scheduled to begin in May but the attack was delayed several times in order to bring up fresh Panzer formations equipped with Tiger I's and Panther tanks and their latest assault guns. These delays allowed for even greater Soviet preparation. It was not until early July that the Wehrmacht operations in the Kursk salient got underway. The resulting battle was one of the largest tank battles in World War II, with massive losses of men and equipment on both sides. As the commander of the Central Front, Rokossovsky's force was faced with a determined attack by the Army Group Center's 9th Army under Walter Model, including several tank formations augmented with the newest Tiger I tanks in battalion strength. Rokossovsky for his part had organized his defenses into three defensive belts. After the initial German assault, Rokossovsky ordered counter-attacks but the Russian armor suffered badly in the face of the new German heavy Tiger tanks, and he went back on the defensive. Despite this, the Germans were soon bogged down in the heavily mined terrain and antitank defenses, and Rokossovsky was able to reinforce. Needless to say the Russians exploited their victory to the full. 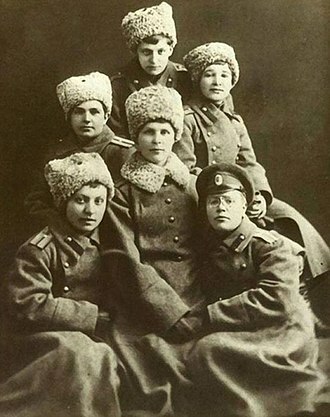 There were to be no more periods of quiet on the Eastern Front. From now on, the enemy was in undisputed possession of the initiative. 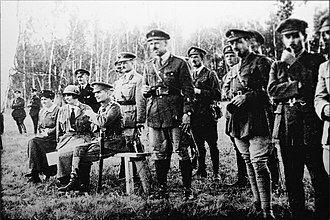 The Central Front was then renamed 1st Belorussian Front, which he commanded during the Soviet advance through Byelorussia (Belarus) and into Poland. A famous incident is consistently reported from various sources in slightly different versions that during the planning in 1944 of Operation Bagration, Rokossovsky disagreed with Stalin, who demanded in accordance with Soviet war practice a single break-through of the German frontline. Rokossovsky held firm in his argument for two points of break-through. Stalin ordered Rokossovsky to "go and think it over" three times, but every time he returned and gave the same answer "two break-throughs, comrade Stalin, two break-throughs". 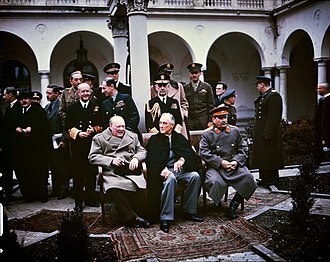 After the third time Stalin remained silent, but walked over to Rokossovsky and put a hand on his shoulder. 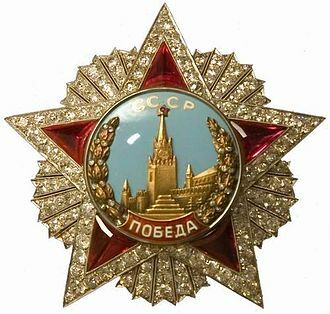 A tense moment followed as the whole room waited for Stalin to rip the epaulette from Rokossovsky's shoulder; instead, Stalin said "Your confidence speaks for your sound judgement", and ordered the attack to go forward according to Rokossovsky's plan. The battle was successful and Rokossovsky's reputation was assured. After crushing German Army Group Centre in Belarus, Rokossovsky's armies reached the east bank of the Vistula opposite Warsaw by mid-1944. For these victories he was advanced to the rank of Marshal of the Soviet Union. Stalin once said: "I have no Suvorov, but Rokossovsky is my Bagration". While Rokossovsky's forces stood stalled on the Vistula, the Warsaw Uprising (August–October 1944) broke out in the city, led by the Polish Home Army (AK) on the orders of the Polish government in exile in London. Rokossovsky did not order reinforcement to the insurgents. There has been much speculation about Rokossovsky's personal views on this decision. He would always maintain that, with his communications badly stretched and enemy pressure against his northern flank mounting, committing forces to Warsaw would have been disastrous. 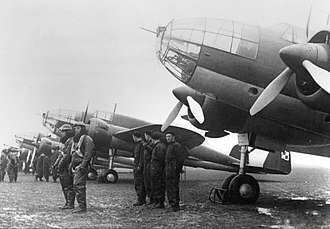 In November 1944, Rokossovsky was transferred to the 2nd Belorussian Front, which advanced into East Prussia and then across northern Poland to the mouth of the Oder at Stettin (now Szczecin). On 3 May 1945 he linked up with British Field Marshal Bernard Montgomery's 2nd Army in Wismar, Germany while the forces of Zhukov and Ivan Koniev captured Berlin, ending the war. 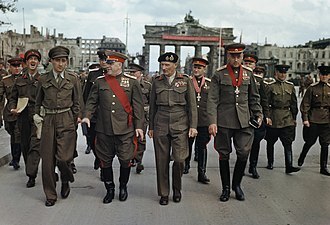 In July 1945, he, Zhukov and several other Soviet officers were awarded the Order of the Bath in a ceremony at the Brandenburg Gate, in Berlin. 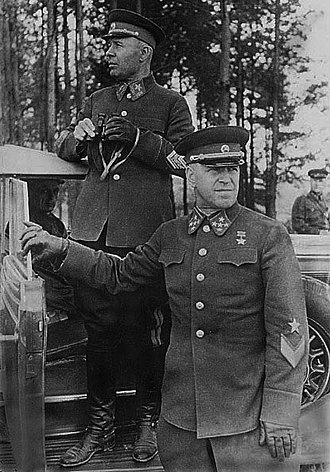 As one of the most prominent Soviet military commanders of the Second World War, Rokossovsky was present at the Victory Parade in Red Square in Moscow in 1945, riding on a black stallion next to Marshal Georgy Zhukov. After the end of the war Rokossovsky remained in command of Soviet forces in Poland (Northern Group of Forces). 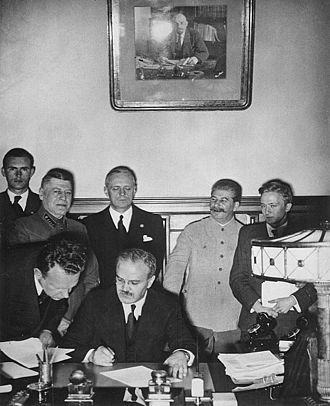 Fully four years later, in October 1949 with the establishment of the government under Bolesław Bierut in Poland, Rokossovsky, on Stalin's orders, became the Polish Minister of National Defense, with the additional title of Marshal of Poland. Together with Rokossovsky, several thousand Soviet officers were placed in charge of almost all Polish military units, either as commanding officers or as advisors. In 1952 he became Deputy Chairman of the Council of Ministers of the People's Republic of Poland. Although Rokossovsky was Polish by ancestry, he had not lived in Poland for 35 years and most Poles regarded him as a Russian and Soviet emissary in the country. As Rokossovsky himself bitterly put it: "In Russia, they say I'm a Pole, in Poland they call me Russian". Rokossovsky played a key role in the regime's suppression of an independent Poland through stalinization and sovietization in general, and in the Polish Army in particular. As the de facto supreme commander of the Polish Army, he introduced various methods for the suppression of anti-Soviet activity, real or imagined. Among the most notorious were the labour battalions of the army, to which all able-bodied men found socially or politically insecure or guilty of having their families abroad were drafted. It is estimated that roughly 200,000 men were forced to work in these labour camps in hazardous conditions, often in quarries, coal mines, and uranium mines, and 1,000 died in their first days of "labour", while tens of thousands became crippled. Other groups targeted by these repressive measures were former soldiers of the pre-war Polish Army as well as the wartime underground Home Army. 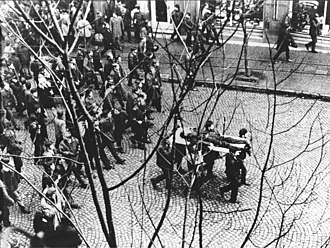 In the June 1956 Poznań protests against local working conditions and living standards, as well as the Soviet occupation of Poland, Rokossovsky approved an order to send in military units. As a result of this over 10,000 soldiers and 360 tanks crushed the protesters, and at least 74 civilians were killed. In the wake of the Poznan riots and the "rehabilitation" of the formerly imprisoned communist reformer Władysław Gomułka in 1956, Rokossovsky went to Moscow in a failed attempt to convince Nikita Khrushchev to use force against the Polish state. [not in citation given] However, Gomułka managed to negotiate with the Soviets, and on the new Polish First Secretary's insistence Rokossovsky was forced to leave Poland. 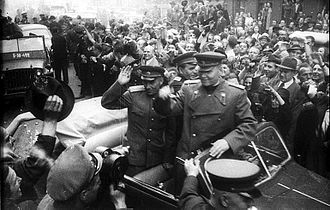 He returned to the Soviet Union, which restored his Soviet ranks and honours; and in July 1957, following the removal from office of Defence Minister Zhukov, Nikita Khrushchev appointed him Deputy Minister of Defence and Commander of the Transcaucasian Military District. In 1958 he became chief inspector of the Ministry of Defence, a post he held until his retirement in April 1962. He died in August 1968, aged 71. His ashes were buried in the Kremlin Wall Necropolis on Red Square. Postage stamp of Soviet Union, 1976. Postage stamp of Kyrgyzstan, 2005. Commemorative coin of Belarus, 2010. Bulvar Rokossovskogo, Moscow Central Circle station. ^ Brown, Archie (2009). The Rise and Fall of Communism. Harper Collins. p. 277. ISBN 9780061885488. ^ Daines, Vladimir (2009). Гений войны Рокоссовский. Солдатский долг Маршала [War Genius Rokossovsky: Soldier debt Marshal] (in Russian). 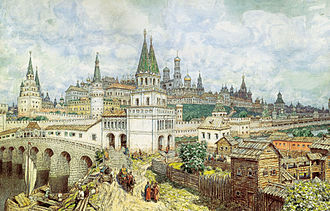 Moscow: Yauza. pp. 2–3. ISBN 9785457275003. ^ a b "Рокоссовский Константин Константинович" [Rokossovsky Konstantin Konstantinovich]. www.warheroes.ru (in Russian). Retrieved 2016-01-18. ^ a b c d Kudrevatykh, Leonid. "Maturity of Talent". War Heroes. ^ a b c d Rudenko, Inna. "Great-granddaughter of Marshal Rokossovsky: My great-grandfather commanded the Victory Parade". kp.ru. ^ "Konstantin Rokossovsky – Russiapedia Military Prominent Russians". russiapedia.rt.com. Retrieved 2016-01-18. ^ Kokoshin, Andreĭ Afanas'evich (1998). Soviet Strategic Thought, 1917–1991. MIT Press. p. 43. ^ a b Sphar (1997-06-17). Stalin's lieutenants: a study of command under duress. ISBN 978-0-89141-564-0. ^ "Military History magazine 2006. – № 5". War Heroes. ^ a b "The Kremlin Wall Memorial Project". Archived from the original on 19 June 2013. ^ Rayzfeld, A (17 February 2011). "Battering Ram". Soviet Russia: Independent People's Newspaper. 2 (23). Archived from the original on 24 June 2014. Retrieved 28 October 2013. 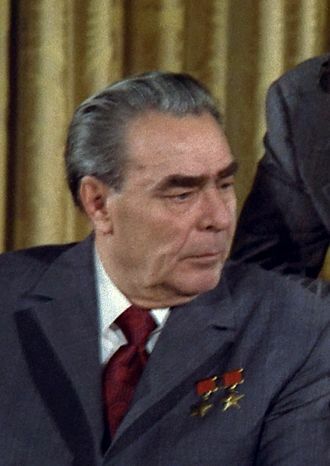 ^ "Konstantin Rokossovsky: Brezhnev was crying at the funeral of my grandfather". FreeLance Bureau. ^ Rappaport, Helen (1999). Joseph Stalin: a biographical companion. p. 229. ISBN 978-1-57607-208-0. ^ http://www.marxists.org/archive/khrushchev/1956/02/24.htm | Speech to 20th Congress of the C.P.S.U. ^ Current Biography & H. W. Wilson Company 1945, p. 562. ^ Kamenir, Victor (2008). The Bloody Triangle: The Defeat of Soviet Armor in the Ukraine, June 1941. Minneapolis: Zenith Press. p. 101. ISBN 978-0-7603-3434-8. ^ Kamenir, Victor (2008). The Bloody Triangle: The Defeat of Soviet Armor in the Ukraine, June 1941. Minneapolis: Zenith Press. p. 118. ISBN 978-0-7603-3434-8. ^ a b c Glantz, David (1987). The Initial Period of War on the Eastern Front. Routledge. ^ Erickson, John (2003). The Road to Stalingrad. Yale University Press. pp. 167–68. ^ Erickson, John (2003). The Road to Stalingrad. Yale University Press. p. 169. ^ Seaton, Albert (1993). The Russo-German War. Presidio Press. p. 125. ^ Glantz, David (2010). Barbarossa Derailed. Casemate Publishers. p. 91. ^ a b c d Glantz, David (2010). Barbarossa Derailed. Casemate Publishers. p. 163. ^ Seaton, Albert (1993). The Russo-German War. Presidio Press. pp. 123–126. ^ Glantz, David (2010). Barbarossa Derailed. Casemate Publishers. p. 161. ^ Glantz, David (2010). Barbarossa Derailed. Casemate Publishers. p. 167. ^ a b Glantz, David (2010). Barbarossa Derailed. Casemate Publishers. p. 166. ^ Glantz, David (2010). Barbarossa Derailed. Casemate Publishers. pp. 166–169. ^ a b Glantz, David (2010). Barbarossa Derailed. Casemate Publishers. p. 168. ^ a b c d Glantz, David (2010). Barbarossa Derailed. Casemate Publishers. p. 187. ^ Glantz, David (2010). Barbarossa Derailed. Casemate Publishers. p. 195. ^ Glantz, David (2010). Barbarossa Derailed. Casemate Publishers. p. 224. ^ Glantz, David (2010). Barbarossa Derailed. Casemate Publishers. p. 186. ^ a b Glantz, David (2010). Barbarossa Derailed. Casemate Publishers. p. 241. ^ Glantz, David (2010). Barbarossa Derailed. Casemate Publishers. p. 242. ^ Robert Kirchubel (2007-08-21). Operation Barbarossa 1941 (3): Army Group Center, Volume 3. ISBN 978-1-84603-107-6. ^ Glantz, David (2011). Operation Barbarossa. The History Press. p. 76. ^ Pyl'cyn, Alexander (2006). Penal Strike. Stackpole Books. p. 162. ISBN 9780811735995. ^ Walsh, Stephen M. "Leadership and Command on the Eastern Front (1941–1945): The Military Style of Konstantin Rokossovskiy". Cranfield University. p. 30. ^ a b Rokossovsky, Konstantin (2002). Soldatskiy Dolg (A Soldier's Duty) (in Russian). Moscow: Olma Press. p. 168. ^ Walsh, Stephen M. "Leadership and Command on the Eastern Front (1941–1945): The Military Style of Konstantin Rokossovskiy". Cranfield University. p. 31. ^ "Rokossovsky, Konstantin". Encyclopedia of World War II, Volume II. ^ Lotz, Corinna. "Why Stalingrad Still Matters". A World to Win. ^ a b Beevor, Antony (1998). Stalingrad: The Fateful Siege. Artemis Cooper. p. 353. ^ Beevor, Antony (1998). Stalingrad: The Fateful Siege. Artemis Cooper. p. 356. ^ "Konstantin Rokossovsky". World War II Database. ^ Beevor, Antony (1998). Stalingrad: The Fateful Siege. Artemis Cooper. pp. 364–394. ^ Russia at War, 1941–1945 & Werth 1964, p. 543. ^ * Erickson, John (1999) . The Road to Berlin: Stalin's War with Germany: Volume Two (2 ed.). New Haven: Yale University Press. p. 98. ISBN 0-300-07813-7. ^ Clark, Alan (1966). Barbarossa: The Russian-German Conflict 1941–1945. New York: Morrow. p. 195. ISBN 0-688-04268-6. OCLC 40117106. ^ * Bergström, Christer (2007). Kursk — The Air Battle: July 1943. Burgess Hill: Chevron/Ian Allan. p. 121. ISBN 978-1-903223-91-8. ^ Chris Bellamy (2007). "18". Absolute War. London: Panmacmillan. p. 610. ISBN 978-0-330-51004-2. ^ a b Wiesław Białkowski (1994). Rokossowski – na ile Polak? (Rokossowski – How Much of a Pole?) (in Polish). Warsaw: Alfa. p. 326. ISBN 83-7001-755-X. ^ a b Paweł Piotrowski; Barbara Polak (June 2001). "Żołnierze, oficerowie, generałowie" [Soldiers, Officers, Generals]. Biuletyn IPN (in Polish). 6 (7/2001). ISSN 1641-9561. Archived from the original on 22 March 2005. Retrieved 2006-04-17. ^ a b Anna Witalis Zdrzenicka (2005). "Polski gułag. Zapomniana krzywda powraca (Polish Gulag: the Forgotten Lesion Returns)". Gazeta Ogólnopolska (in Polish). 1 (1). Archived from the original on 24 December 2007. Retrieved 17 April 2006. ^ Grzegorz Ekiert; Jan Kubik (2001). Rebellious Civil Society : Popular Protest and Democratic Consolidation in Poland, 1989–1993. Ann Arbor: University of Michigan Press. pp. 27–29. ISBN 0-472-08830-0. ^ according to official figures, as in: Maciej Szewczyk (2005). "Poznański czerwiec 1956". Poznańczyk (in Polish). Retrieved 2006-04-17. Daines, Vladimir (2009). Гений войны Рокоссовский. Солдатский долг Маршала [War Genius Rokossovsky. Soldier debt Marshal]. Moscow: Yauza. ISBN 9785457275003. Boris, Sokolov. (2009). Marshal K. K. Rokossovsky:The Red Army's Gentleman Commander. Helion & Company. ISBN 9781909982109. Wikimedia Commons has media related to Konstanty Rokossowski. Alexander Vasilyevich Kolchak CB was a polar explorer and commander in the Imperial Russian Navy, who fought in the Russo-Japanese War and the First World War. His government was based in Omsk, in southwestern Siberia, for a year and a half, Kolchak was the internationally recognised leader of Russia. As his White forces fell apart, he was betrayed and captured by independent units who handed him over to local Bolsheviks, Kolchak was born in Saint Petersburg in 1874 to a family of minor Russian nobility. His father was a retired major-general of the Marine Artillery and a veteran of the 1854 siege of Sevastopol, Kolchak was educated for a naval career, graduating from the Naval Cadet Corps in 1894 and joining the 7th Naval Battalion. He was soon transferred to the Russian Far East, serving in Vladivostok from 1895 to 1899 and he returned to western Russia and was based at Kronstadt, joining the Russian Polar expedition of Eduard Toll on the ship Zarya in 1900 as a hydrologist. After considerable hardship, Kolchak returned in December 1902, Eduard Toll with three other explorers continued further north and were lost, Kolchak took part in two Arctic expeditions and for a while was nicknamed Kolchak-Poliarnyi. For his explorations Kolchak received the highest award of the Russian Geographical Society, in December 1903, Kolchak was en route to St. In the early stages of the Russo-Japanese War, he served as officer on the cruiser Askold. He made several sorties to lay naval mines, one of which succeeded in sinking the Japanese cruiser Takasago. He was decorated with the Order of St. Anna 4th class for the exploit, as the blockade of the port tightened and the Siege of Port Arthur intensified, he was given command of a coastal artillery battery. He was wounded in the battle for Port Arthur and taken as a prisoner of war to Nagasaki. His poor health— led to his repatriation before the end of the war, Kolchak was awarded the Golden Sword of St. George with the inscription For Bravery on his return to Russia. He served on the Naval General Staff from 1906, helping draft a shipbuilding program, a program, and developing a new protection plan for St. Petersburg. Kolchak took part in designing the special icebreakers Taimyr and Vaigach, based in Vladivostok, these vessels were sent on cartographic expedition to the Bering Strait and Cape Dezhnev. 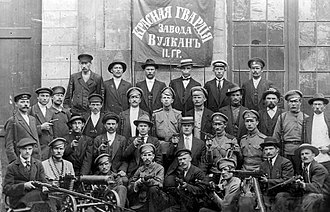 The 9th Mechanized Corps was a mechanized corps of the Soviet Red Army, formed twice. It was first formed in November 1940 and disbanded in September 1941 after suffering heavy losses, the corps was formed again in August 1943 at Tula. The second formation fought with the 3rd Guards Tank Army and it participated in the Battle of the Dnieper, the Battle of Kiev, the Dnieper–Carpathian Offensive, the Zhitomir–Berdichev Offensive, the Lvov–Sandomierz Offensive. The Battle of Berlin and the Prague Offensive, during the war the corps received the honorifics Kiev and Zhitomir and was awarded the Order of the Red Banner, the Order of Suvorov 2nd class, and the Order of Kutuzov 2nd class. The corps was first formed in November 1940 in the Kiev Military District with the 19th and 20th Tank Divisions, in March 1941, the 19th Tank Division was transferred to the 22nd Mechanized Corps and was replaced by the 35th Tank Division. On June 22,1941, the first day of the German invasion, the 9th Mechanized Corps moved its units towards the town of Irkutsk, into the path of the advancing 14th Panzer Division, which pushed the 131st Motorized Division out of the town. Meanwhile, south of Irkutsk, the 11th Panzer Division secured Dubno, a road hub, against minimal resistance. At the same time, elements of 19th Mechanized Corps 43rd Tank Division recaptured Dubno, the 13th Panzer turned east, and along secondary roads, took Rovno in the 9ths Mechanized rear. However, on June 29, the 14th Panzer, attempting to advance eastward along the main highway, was stopped cold by the 20th Tank Division. The corps commander, Konstantin Rokossovsky, wrote of this engagement in his memoirs, The terrain off road was wooded and swampy, the artillery Regiment of the 20th Tank Division deployed its newly issued 85mm Guns to cover the road and with direct fire repulsed the advancing Panzers. The 14th Panzer abandoned this route and followed the 13th Panzer Division, both Panzer divisions of III Panzer Corps pushed on, leaving 25th Panzergrenadier Division to protect their rear against repeated attacks by 9th Mechanized Corps to drive into Rovno. The 25th Panzergrenadier Division reported extreme difficulty in holding back the attacks, by the beginning of July, German armor had smashed a hole in the center of the Russian line, and the 13th Panzer stood at the edge of the Kiev fortified district. Polish coats of arms in the Gelre Armorial (compiled before 1396), among them Leliwa coat of arms, Ogończyk coat of arms, Ostoja coat of arms (Ostoja knights' clan), Nałęcz coat of arms. Poniatowski Bridge after being blown up by the Russian Army in 1915. Poniatowski Bridge during the 1915 fire (shortly after being rebuilt from being blown up). Renovated small towers as of 2013. This Roman Catholic Church in Warsaw was seized and converted into a Russian Orthodox one while the city was a part of the Russian Empire. The Russian Orthodox St. Sophia Cathedral in Harbin, China. The Valuyev Circular of 1860, designed to eradicate the usage of Ukrainian language.